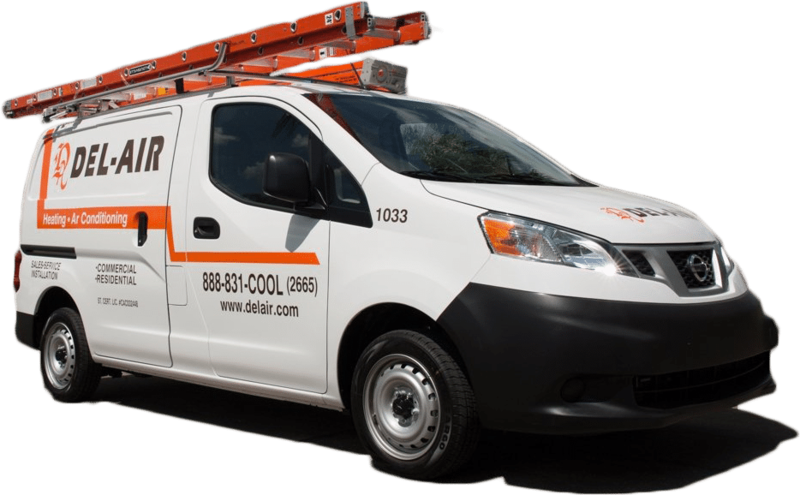 As one of Florida’s largest and most respected companies in heating and air conditioning, Del-Air is proud to serve Orlando with a complete line of high-quality products and services. Since 1983, Del-Air Heating & Air Conditioning has been working toward giving customers the best experience and long-lasting satisfaction in HVAC service. We dedicate ourselves to customer satisfaction and pride ourselves on our attentive work ethic, so you can be confident your home will be at peak performance at all times. In Orlando, FL, heating and cooling is more of a necessity than a luxury. The heat and humidity in the region will take a toll on your health and your home or business. Newer AC units have features capable of combating these risks on several fronts. Del-Air offers the top brand names in air conditioning equipment, which will not only cool your home, but also reduce your bill and keep your air clean. Many of our units have great SEER ratings, which lower your power bill. Some of them also have HEPA filtration, which can keep your air up to 99.97 percent clean. 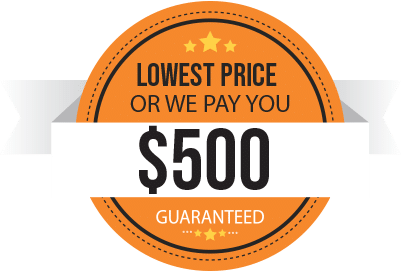 Our units also have extended warranties, and we offer special financing with approved credit, convenient monthly payments and other affordable service and maintenance programs. Most importantly, we offer you three decades of experience in Orlando, FL, heating and air conditioning. Our technicians are fully trained on proper installation methods, as well as risks that are unique to the Orlando area. The harsh conditions here increase chances for corrosion and rust, as well as infiltration by certain pests. We know which special features – such as unit coating – will be essential to your unit’s long-term use. If you already have an air conditioner that fits your needs, Del-Air will provide you with top-quality routine maintenance and air conditioning repair. We have multiple packages suited to all types of properties, and we provide a free consultation to help determine the perfect package for you. Orlando, FL, heat and air equipment requires ongoing maintenance to stay in tip-top shape. Our preventive maintenance program allows you to get the best performance out of your unit and saves you money in the long run. We provide annual inspections and tune-ups for residential units and customized care plans for commercial properties. Upon a thorough inspection, you’ll be alerted to any signs of excess wear and tear we believe may lead to problems. This gives you the chance to fix issues before they lead to expensive breakdowns, but don’t worry. You won’t be hit with any surprise bills, because we won’t get to work before you approve repairs. Following the inspection, our trained HVAC technician will clean, drain, tighten and lube appropriate parts of your air conditioner. This reduces resistance and allows your unit to cool your home using less energy. It also helps prevent damages to your system’s components. Properly maintained, your air conditioner should last 10 years or longer. If maintenance goes ignored, it won’t be long until you’re faced with a problem. Del-Air’s Orlando HVAC experts are also proficient in any air conditioning repair problem and service all major air conditioning brands. We’re here for you, whether you need a small HVAC repair or a brand new air conditioning unit. As an EPA-certified company, we pledge to give you the best options for heating and cooling support. We’re not just here to make your home comfortable with air conditioning. We also want to make a state-of-the-art home with the right appliances. Del-Air has been carrying the top Orlando appliances for two decades serving kitchen designers, remodeling contractors, architects and more. Our technicians are professional, efficient and factory-trained. We pride ourselves on our reputation for designer styling, innovative features, environmentally-friendly products and complete satisfaction with any of our products. Del-Air has been guaranteeing satisfaction for more than 30 years by offering customers the highest quality brand names and the most talented technicians. Del-Air offers 24/7 service, so contact us day or night with your concerns. Schedule an appointment for Orlando, FL, heating and air conditioning service by calling (844) 574-4578 or contacting us online today. We look forward to working with you and bringing you the best service in the industry. We’re not just here to make your home comfortable with air conditioning. We also want to make a home state-of-the-art with the right appliances. Del-Air has been carrying the top Orlando appliances for two decades serving kitchen designers, remodeling contractors, architects and more. Our technicians are professional, efficient and factory-trained. We pride ourselves on our reputation for designer styling, innovative features, environmentally-friendly products and complete satisfaction with any of our products. Del-Air has been guaranteeing satisfaction for more than 30 years by offering customers the highest-quality brand names and the most talented technicians. Del-Air offers 24/7 service, so contact us day or night with your concerns. Schedule an appointment for Orlando, FL, heating and air conditioning service by calling (844) 574-4578 or contacting us online today. We look forward to working with you and bringing you the best service in the industry.